Dental implants are the only truly comprehensive tooth replacement available today. The implant takes the place of your missing tooth’s root, and a natural-looking prosthetic device is placed on top to restore the white crown. Together, the dental implants and the crown, bridge, or denture provide a sturdy tooth replacement that looks, feels, and functions like your natural teeth. 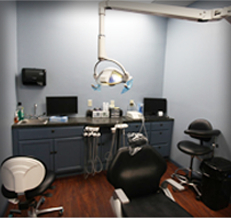 Your dentist at Laith Family Dentistry restores dental implants in San Antonio. Dental implants are made of titanium, a material that is known for its ability to fully integrate, or fuse with, bone. After your dental implants have been surgically placed beneath the gum line, a recovery period of approximately six months is necessary for the implants to become one with the jaw bone. 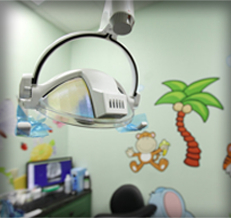 A temporary tooth replacement device is worn during this time. After this process (also known as osseointegration) is complete, your dental implant is just as stable as any other bone in your body. A connecting abutment is placed to the top of the dental implant. The prosthetic device is attached to the dental implant with the abutment. 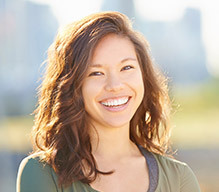 For eligible candidates, there is no better tooth replacement option than dental implants. Because they become one with your jaw bone, dental implants actually promote better oral health. They keep your bone sturdy and whole, preventing further tooth loss later on. Because dental implants last a lifetime when cared for properly, you enjoy the ability to eat, speak, and smile with ease for years and years to come. You’re also freed from the mess of dental adhesives, and the stress that your ill-fitting dental prosthetic will slip out when you’re eating or speaking. If you are interested in learning about whether or not your mouth is suited for dental implants, do not wait to schedule an appointment with your implant dentist. Missing teeth should be replaced as soon as possible for continued oral and overall health. Dental implants are typically successful in healthy patients who do not smoke and who have plenty of existing jawbone structure. If the bone is weak or if too much bone has degenerated due to tooth loss, bone augmentation procedures (like bone grafting or sinus lift) can help increase the patient’s eligibility for dental implants. Patients who have serious health conditions, like uncontrolled diabetes, advanced cancers, and HIV/AIDS, are usually not eligible candidates for traditional dental implants. Before you get started with your dental implant tooth replacement plan, you likely want to know more about the cost of this advanced treatment. Complex procedures like dental implant restorations do require a larger upfront investment, but because the results last for decades and deliver improved function, many patients find they are worth the additional cost. During your tooth replacement consultation, we are happy to review your treatment plan and the costs associated with every step of the process. 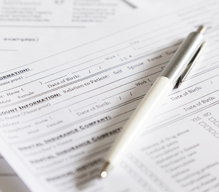 Our team is always happy to help patients budget for the costs of their dental care plans, maximize insurance benefits, and work with CareCredit to provide low and no interest financing plans. 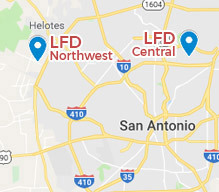 The only way to know for sure whether dental implants are a good option for you is to schedule an appointment with your implant dentist in San Antonio. 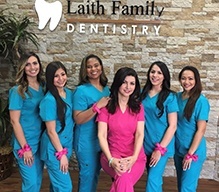 Contact Laith Family Dentistry to request an appointment and let’s discuss your dental implants today!